After tasting these at a friend’s house at dinner a few weeks ago, I knew I had to get my hands on the recipe and try it over the weekend. And they did not disappoint! Very easy to make and perfect for a dinner party. They are low carb, so healthy too! Preheat oven to 180°C fan-bake. Prep muffin tins, lining them with baking paper cases or a lick of butter so they don’t stick. Melt the butter at medium power until liquid. 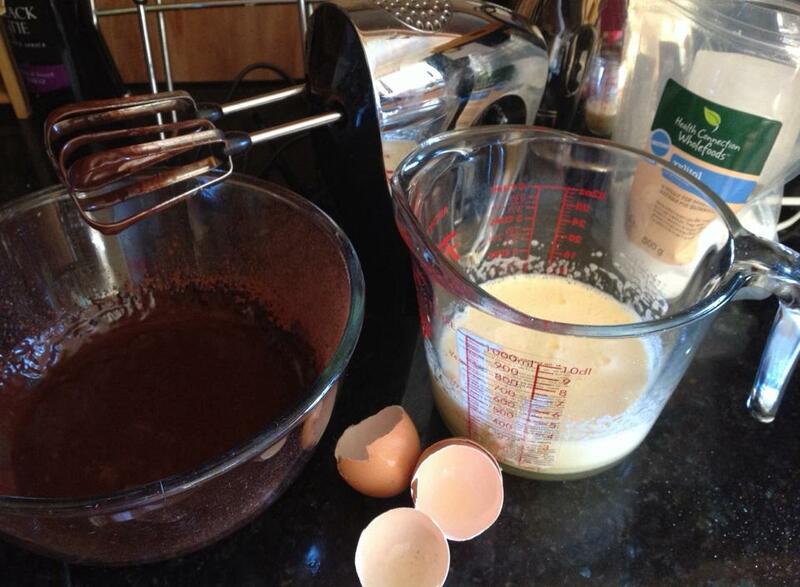 Whisk with coffee and 40g of cocoa powder. In a separate bowl, beat the eggs with the xylitol and vanilla essence. Add the ground almonds, salt, and rest of cocoa and beat again until combined. Beat the batter with the melted butter mixture. ☆For the cheesecake section, blend all ingredients together until smooth and velvety. Spoon heaped teaspoons of the brownie mixture into the cupcake cases and top with slightly smaller quantities of the cheesecake mix. The cases should look quite full as they will not rise. 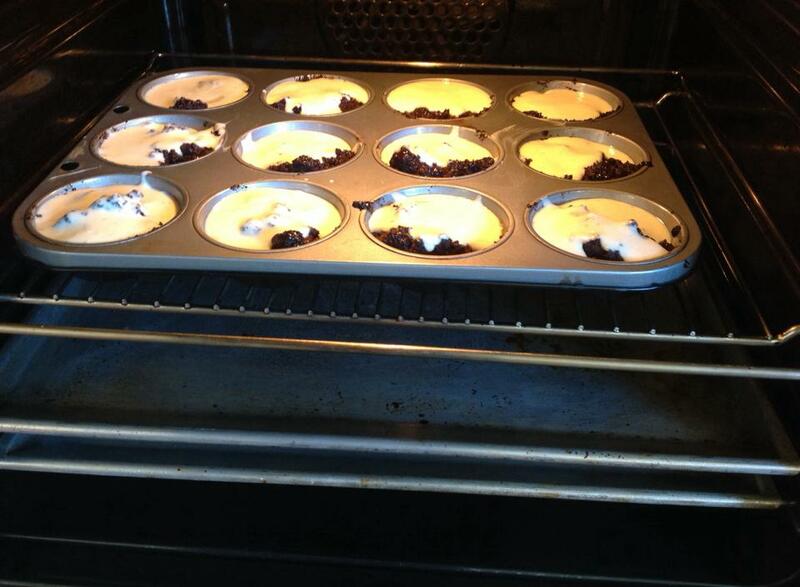 Pop in the oven for 3-4 minutes before taking the trays back out and swirling the batters together using a cake tester. 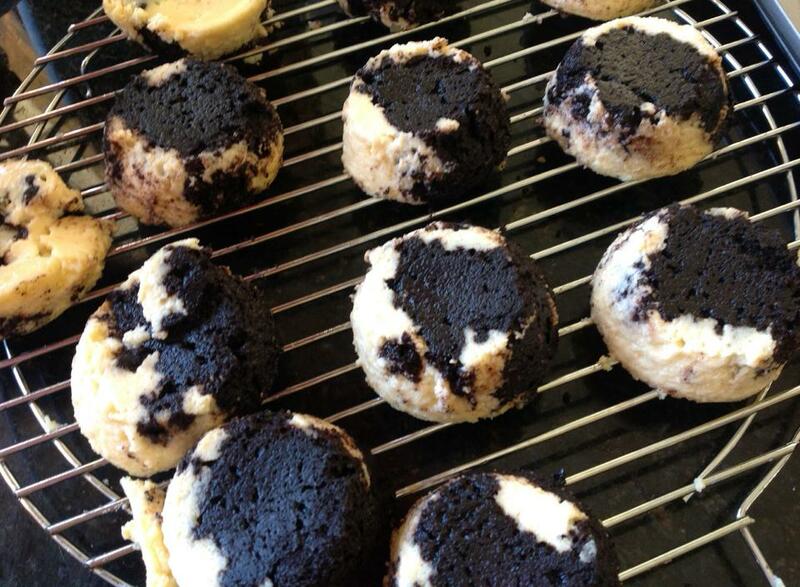 Cook for another 15 minutes or until the cupcakes are looking set and the cheesecake swirl is getting a golden tinge. Cool in the trays until they’re set enough to handle, then cool further in the fridge for the fudgiest texture – can eat warm from the oven too! 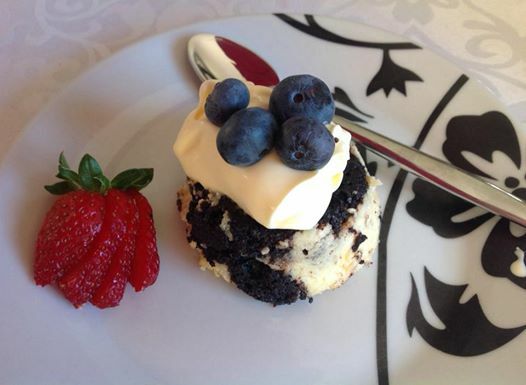 We topped them with double cream and added some blueberries and strawberries for decor – delish!! !